Chain theaters and popular franchises are fatiguing after a while — remakes, reboots and sequels, oh my — so why not attend a classic film marathon in a single screen theater to refresh your cinematic palette. Here’s a short list of local, independent theaters that offer both mainstream releases, classic throwbacks and a little something extra. This single screen theater venue in Lawrenceville selects a theme each week for a marathon of films. This fall, Row House Cinema’s standout weeks include Sept. 15-21, dubbed “Essential American Cinema: 1980s,” and a “George Romero Tribute” from Oct. 13-19, featuring “Day of the Dead” and “Night of the Living Dead.” Row House also offers Midnight Editions, including “Ziggy Stardust and the Spiders from Mars” and “Pink Floyd: The Wall” on Sept. 2 and 9, respectively, as well as a midnight showing of “Monty Python and the Holy Grail” on Sept. 16. The Hollywood Theater in Dormont may be a bit out of the way for most Pitt students, but it still has a few events worth mentioning. The most notable upcoming event is a morning showing of “The Princess Bride” titled “Breakfast and a Movie” on Aug. 20. Also be sure to check out their “Night Out” events, such as “Ladies Night Out” featuring “Dirty Dancing” on Aug. 19 and “Noir Night Out” featuring “Murder, My Sweet” on Aug. 27. 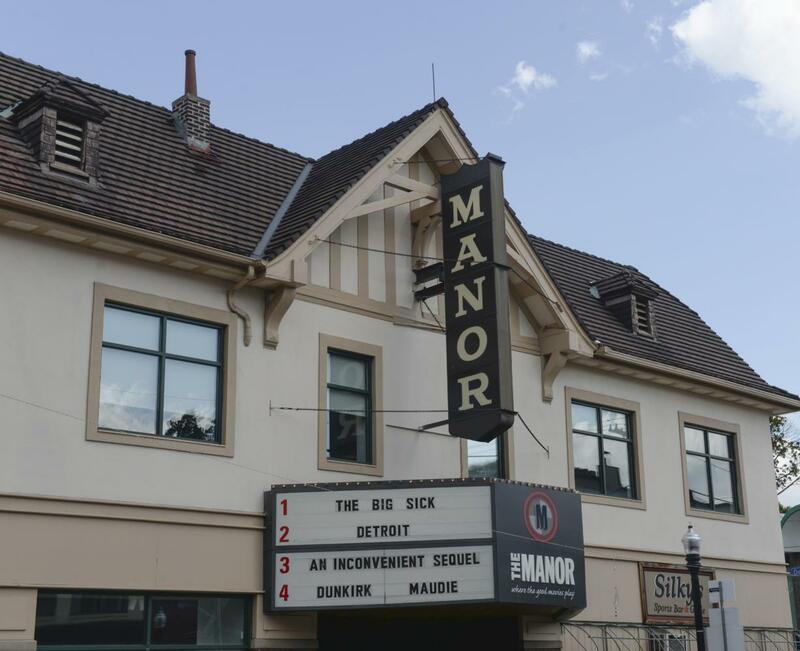 The Manor Theater in Squirrel Hill may not be hosting any festivals or events this fall, but it’s still a cozy and dependable theater for a mix of popular and critically acclaimed films from every genre. This fall, the Manor is showing the highly anticipated remake of Stephen King’s “It,” the star-studded horror “Mother!” and “Blade Runner 2049,” the sequel to the cyberpunk noir 35 years after the original’s release in 1982. While not an independent theater, Film Pittsburgh is a local nonprofit organization that focuses on bringing and presenting films from all over the world to Pittsburgh. Two upcoming festivals include the 2017 ReelAbilities Film Festival, which highlights films about individuals with disabilities, and Pittsburgh Shorts, an inaugural event organized in part by the Pittsburgh Cultural Trust, which will be showing short films from around the world. The ReelAbilities festival will take place from Sept. 6-13 and Pittsburgh Shorts from Oct. 25-29.